Getting to Byron Bay, Gold Coast, Ballina, Lismore, Murwillumbah, Northern rivers region. Airports, airlines, interstate coach and public transport services, taxis (cabs) and charter services. 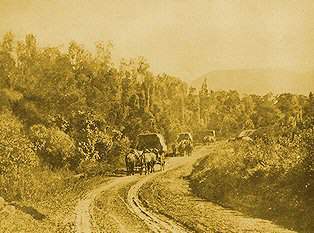 Transportation in the Ballina, Byron Bay - Gold Coast hinterland region of Australia. Northern Rivers NSW and Gold Coast QLD transportation services, including scheduled coach, train and airlines, and public transport services. Taxi cabs service each of the major towns and surrounding local areas, and a wide variety of public bus services travel local routes between towns and villages in the region, from Evans Head and the Clarence Valley in the south, north to Brisbane in Queensland, and west to Tenterfield and New England. Extensive information by locality, providing all public transport services, timetables, school services, accessibility info and licensed private operators with some web site links. TransLink's bus, train and tram network can connect you to places all over the Gold Coast. Our integrated network on the Gold Coast includes the G :link trams, Surfside buslines and Queensland Rail. Ballina - Mullumbimby incl. Bangalow, Byron Bay, Lennox Head, Suffolk Park.